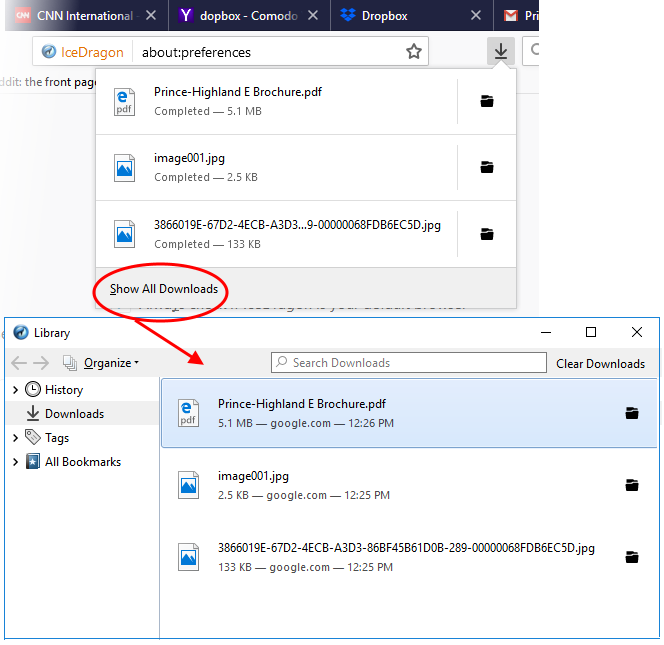 When you start downloading a file from the internet, Comodo IceDragon displays the progress of the download in the navigation toolbar (click the downward pointing arrow to view downloads). It also scans for viruses to prevent malware downloads. The downloads window displays information about each download, including file name, file size, time remaining before the download is complete, where the file was downloaded from, and the time or date of the download. Copy Download Link: Copies the download URL to clipboard.